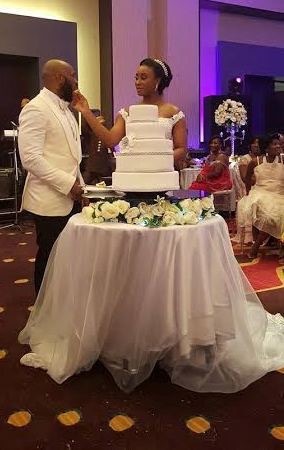 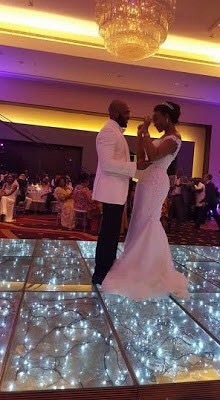 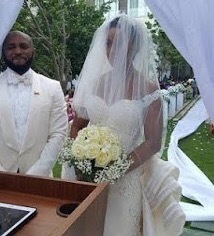 One of the sons of former Vice President of Nigeria, Atiku Abubakar, Aminu and his Ghanaian lover, Nana Akyaa exchanged marital vows yesterday in a colourful white wedding held in Accra, Ghana yesterday. 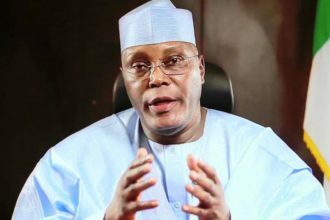 Although, Atiku couldn’t make it as he is in England to deliver a lecture at the London School of Economics, his wife and mother of the groom, Titi, and other family members were however in attendance at the colourful ceremony. 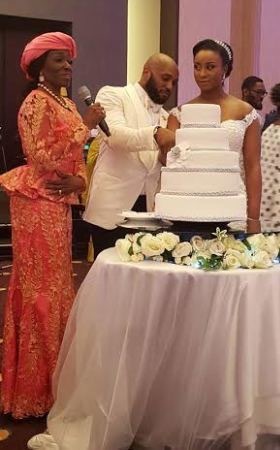 Recall, the former Vice President had earlier led members of his extended family to the traditional wedding rites of Aminu. 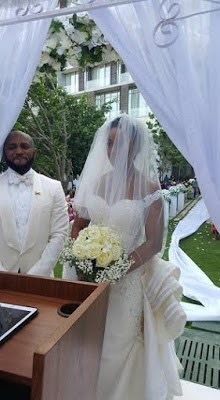 See photos from the white wedding below.